...an amazingly light suspension system that distributes the load like a heavier one, without the weight penalty. Our Sandhill series has an amazingly light suspension system that distributes the load like a heavier one, without the weight penalty. The trick is a wire hoop around the pack's perimeter that an elastic mesh backing is suspended on. 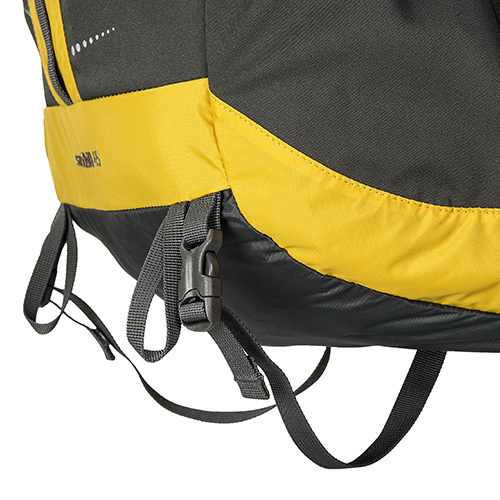 The hoop is shaped to keep the pack from directly contacting your back. The stretched mesh automatically contours to the shape of your back distributing the load throughout. With only mesh on your back, sweat evaporates easily so you don't overheat. 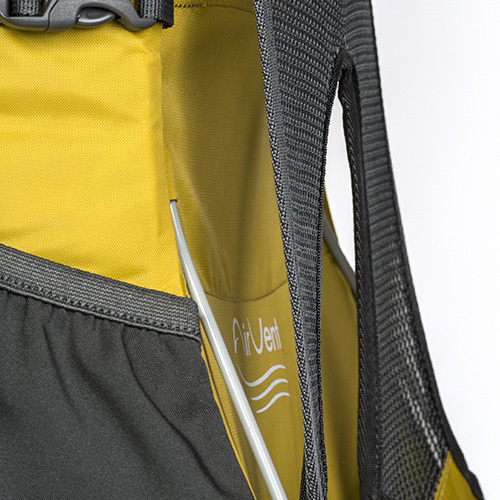 Even if you pack it with heavy items, the suspension system distributes the load evenly with no pressure points. There's even a small occiptal cavity behind your head. The waistbelt is purposely Spartan on padding, to minimize weight. In combination with the ActiVent suspension, it's plenty comfortable. Two zippered pockets are on the waistbelt, one with a mesh screen. 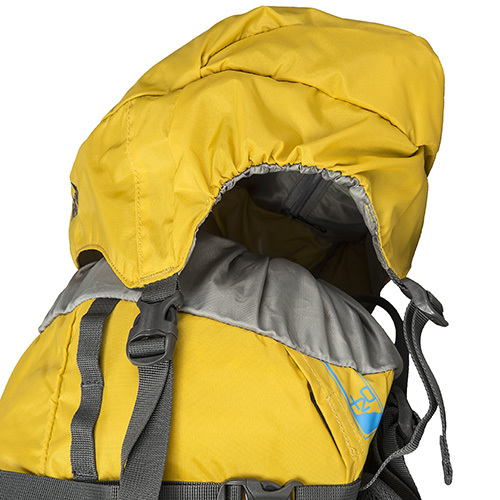 It's a simple top loading pack with a removable lid and an extension sleeve. There's a ¾ length stretchy stash pocket on the outside, plus two more pockets down low on both sides. Two compression straps adorn either side and there's a ladder chain down the middle for strapping or lashing poles, rope, whatever hoo haws you got. 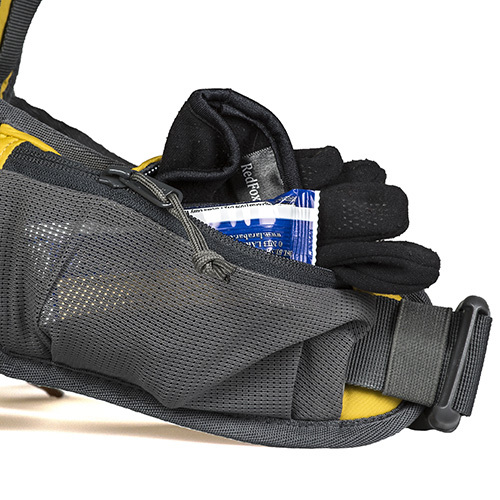 Of course it's hydration ready, with a pocket to hang a bladder in and ports on either side for the hose.